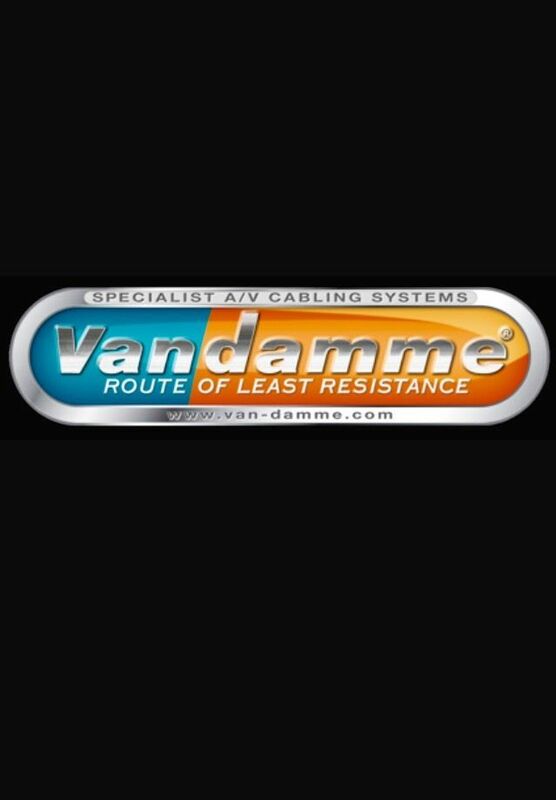 A pair ( 2 x 2m ) VAN DAMME Blue Series Studio Grade 2 x 2.5mm Twin Axial Terminated Audio Speaker Cables. 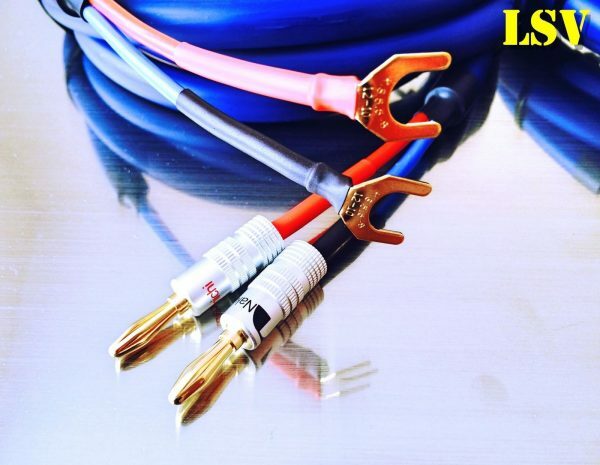 A Pair of Audio Speaker Cables Terminated one end high quality 4x Gold plated Nakamichi banana plugs ( double screw secured ),other end 4x high quality spade connectors,pressure crimped of professional tools AIRLOC HIGH PERFORMANCE TERMINATION. If you would like a different combination of spades to spades connectors, or banana plugs to banana plugs, or different cable lengths, please ask. 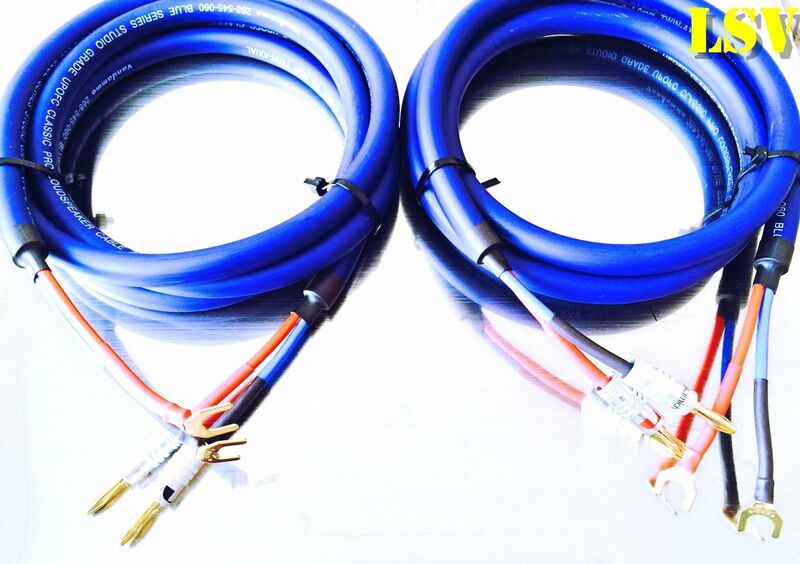 Please have a look at our other items, Any questions please contact with me.Thanks for looking.